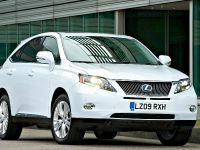 The new Lexus RX 450h follows on from the 2005 launch of the ground-breaking RX 400h to introduce second-generation Lexus Hybrid Drive technology. 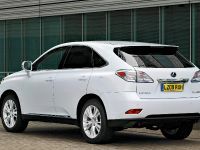 In the RX 450h, Lexus marked the first successful dovetailing of high performance with the hybrid benefits of fuel economy and low emissions, revolutionising powertrain technology in the premium segment. The system has undergone significant development in the RX 450h. 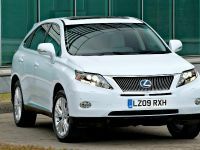 Unlike mild hybrids, which use supplementary electric motor power simply to boost the performance of the petrol engine, the RX 450h is a full hybrid, capable of operation in both petrol and electric modes alone, or in a combination of both. 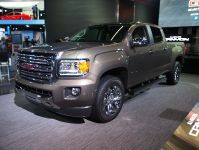 It delivers the energy-saving benefits of a series hybrid and the acceleration performance of a parallel hybrid system. 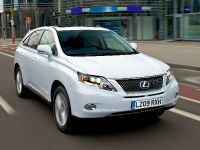 LEXUS HYBRID DRIVE The RX 450h has the same intelligent four-wheel drive capability as the RX 400h, with a series/parallel hybrid system employing a highly efficient petrol engine and two powerful electric motors working in tandem to provide an ‘intelligent' four-wheel drive capability. However, comprehensive enhancements to all the system's components have dramatically improved efficiency, achieving a 10 per cent increase in engine power and a 28 per cent reduction in fuel consumption. 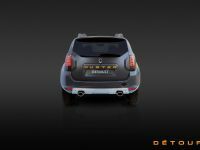 Total power output is 295bhp (299 DIN hp), enabling a top speed of 124mph and 0 to 62mph acceleration in 7.8 seconds. 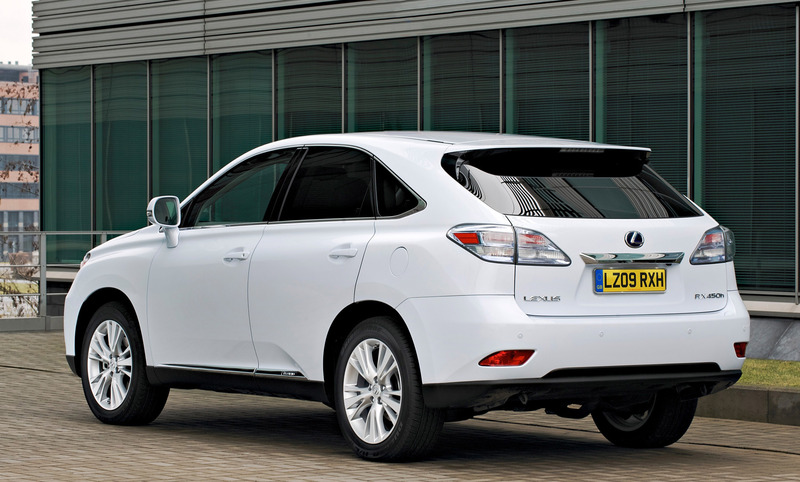 Conversely, the RX 450h has the lowest fuel consumption of any premium crossover model with a combined cycle figure of 44.8mpg. CO2 emissions are also remarkably low at just 148g/km. Hybrid Drive System Configuration The hybrid drive system combines distinct front and rear driving units, with a power control unit managing their seamless, high-speed interaction. The front drive unit is a series/parallel hybrid system featuring a 3.5-litre V6 petrol engine, a powerful electric motor, a generator, a high performance battery, a power control unit and a power split device with a planetary gear set to combine and re-allocate power from the engine, electric motors and generator as driving conditions require. The rear unit provides four-wheel drive by means of a second electric motor and is mechanically independent of the front unit. The motor is activated and continuously adjusted by the Vehicle Dynamics Integrated Management (VDIM) system, working in conjunction with the power control unit. V6 Petrol Engine The 3.5-litre DOHC petrol engine is based on that used in the RX 350, but has been adapted specifically for use in the hybrid powertrain. It produces a maximum 246bhp (249 DIN hp) at 6,000rpm and 317Nm of torque at 4,800rpm, and features three Lexus hybrid ‘firsts' to optimise the fuel efficiency of the Lexus Hybrid Drive: Atkinson cycle combustion, cooled exhaust gas recirculation (EGR) and exhaust heat recovery (EHR). In an Atkinson cycle engine the valves close late, delaying compression. This creates a high expansion ratio for less compression, reducing intake and exhaust energy losses and converting combustion energy into engine power more effectively. As a result the exhaust temperature is lower than in conventional engines. EGR reintroduces cooled exhaust gas into the combustion chamber, further reducing the engine's operating temperatures. Together these technologies minimise the need for any fuel enrichment to provide a cooling effect and protect the catalytic converter from overheating damage, thereby improving fuel economy and reducing emissions. The EHR system uses exhaust gas heat to warm the engine coolant at start-up. This reduces the time the engine needs to warm up, allowing it to be shut off earlier for longer electric motor-only operation, particularly in winter. 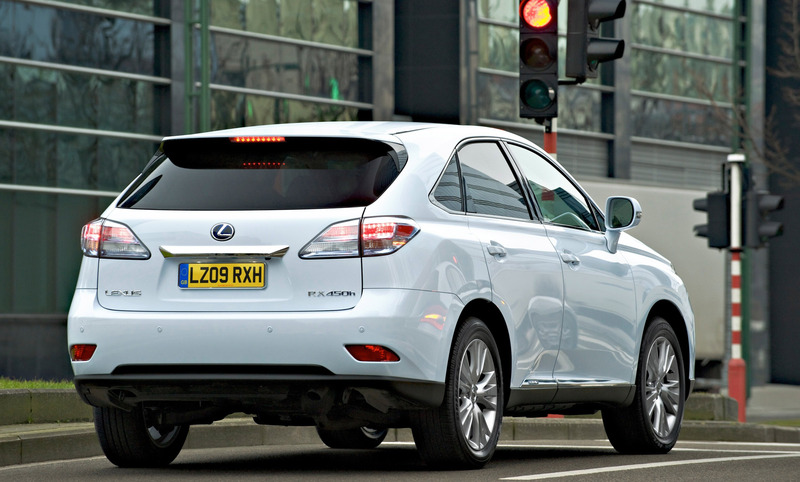 As a result, the RX 450h achieves an increase of more than 30 per cent in cold weather fuel efficiency compared to the RX 400h. Power Control Unit The new power control unit (PCU) is smaller and weighs less than before and is equipped with a new inverter. The inverter's construction allows for cooling on both sides and this better cooling efficiency has helped increase the power density by 40 per cent. PCU power losses have also been reduced by more than 10 per cent to contribute to better fuel economy. Electric Motors Although power from the front and rear electric motors remains the same as it was on the RX 400h, at 165bhp ( 167 DIN hp) and 67bhp (68 DIN hp) respectively, the improved cooling of the PCU has increased their continuous maximum torque band width. This gives better performance, in particular from a standing start. The front and rear motors now deliver maximum torque of 335Nm and 139Nm from zero rpm respectively, while the range of the front motor's maximum toque is extended by 9mph and that of the rear by 22mph. Hybrid Transaxle Several improvements have been made to the compact transaxle. An oil slinger has been adopted to reduce drive losses in the oil pump; an oil cooler has been fitted; low friction bearings have been installed at key points; and numerous components have been tuned and re-profiled. These modifications combine to increase torque capacity and overall transaxle efficiency. An improved flywheel damper, with a two-stage, torque absorbing damper, absorbs torque fluctuations and also the shock of engine stop and start. This significantly reduces vibration and noise, notably in urban driving when the engine stops and starts most often. Artificial Intelligence AI-SHIFT control has been adopted for the first time on a hybrid vehicle. The system determines whether the vehicle is travelling up or downhill by comparing vehicle speed with accelerator pedal angle. The transmission then selects the appropriate shift range – from third to sixth – to maintain engine rpm at an optimum speed for either uphill acceleration or downhill engine braking. Sequential shift-matic control is also available, by selecting ‘S' in the transmission shift gate. In this mode the driver can select any of six speeds to gain more responsive performance, or to add engine braking assistance. Three New Driving Modes The fuel efficiency and performance of the RX 450h's hybrid drive system are both further improved by the adoption of three new driving modes: ECO, EV and SNOW. Linked to an indicator in the speedometer, the new ECO mode provides a modified, non-linear throttle action and air conditioning control to support fuel-efficient driving. The relationship between accelerator pedal movement and system output is automatically controlled to reduce throttle response to aggressive driver inputs, improving fuel economy and promoting smoother driving. 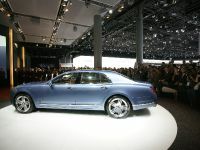 The air conditioning load on the engine is also reduced sharply under acceleration, further adding to fuel efficiency. Activated by means of the Multi-information switch on the steering wheel, EV mode allows the RX 450h to be driven under electric motor power alone. This driving mode is not available to drivers of mild hybrid vehicles; it requires a full hybrid technology such as Lexus Hybrid Drive. In EV mode the vehicle can be driven around town with minimal noise and zero emissions, with driving range determined by the level of battery charge. As the petrol engine is switched off, the EV drive mode contributes to a significant reduction in overall fuel consumption. SNOW mode, also selected with the Multi-information switch, helps modulate use of the accelerator pedal and improve vehicle stability when pulling away on snow or other slippery road surfaces. Pedal inputs are automatically adjusted to reduce driving torque and minimise wheelspin; should there be any wheelspin, the rear electric motor engages to improve traction. DRIVING DYNAMICS In line with the RX 450hs chief engineer's vision of ‘Confident Drive' the RX 450h sets new standards in crossover handling and driving enjoyment. It offers the comfort and composure of a premium saloon, combining responsive handling and agility on winding roads with stable, tenacious four-wheel drive off-road performance. High-rigidity Bodyshell An all-new bodyshell with high torsional rigidity gives the RX 450h a 20mm increase in wheelbase and 60mm increase in track compared to the RX 400h. Larger, 19-inch wheels improve stability, reduce body roll and contribute to superior NVH performance. The engine is positioned lower, dropping the vehicle's centre of gravity and improving weight distribution. 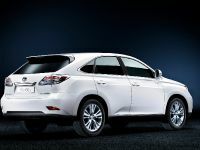 All-new Rear and Revised Front Suspension The RX 450h has all-new rear suspension and a significantly revised front suspension, which improves its dynamic abilities without sacrificing Lexus's legendary ride comfort. The design of the rear set-up maximises loadspace volume and practicality. The front MacPherson struts gain new shock absorbers and revised geometry, springs and stabilisers. The diameter of the front anti-roll bar has been increased, improving cornering stability. 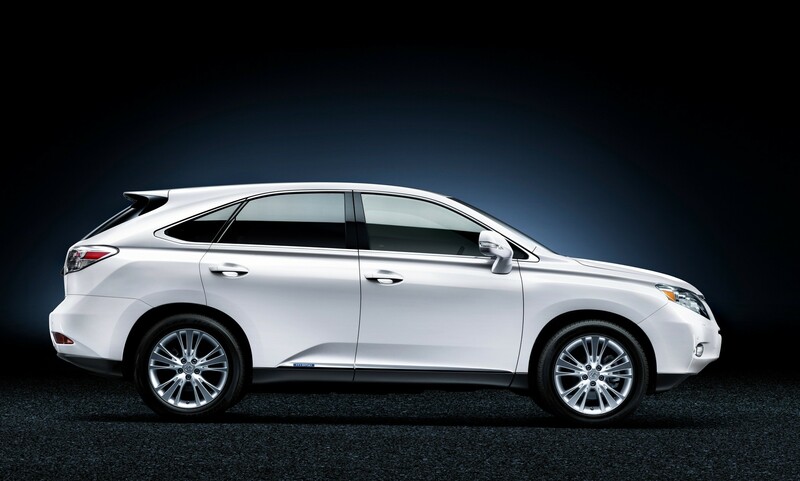 Electronically Controlled Air Suspension Higher grade versions of the RX 450h can be equipped with a newly engineered, electronically controlled air suspension system. This has a revised constriction, combining optimised pneumatic cylinders with high-capacity shock absorbers to deliver flat and supple ride comfort with superior road-holding. Normal mode is suitable for everyday driving. When travelling at motorway speeds, the system will automatically lower to a height equivalent to Low mode to improve aerodynamic stability and fuel efficiency. Active Stabiliser System A fuel-efficient, electric Active Stabiliser System is also available for the RX 450h, which significantly inhibits body roll angles. Compared to conventional anti-roll bars, it gives almost 40 per cent less roll in 0.5g corners. The system uses variable twist-torque front and rear anti-roll bars to enhance body control and steering precision in high-performance driving, without compromising straight-line ride comfort. 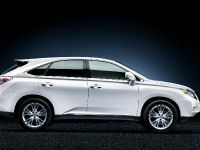 In straight-line driving the system is inactive, in line with the energy-saving objectives of Lexus Hybrid Drive. Motors located at the centre of each anti-roll bar are activated when the vehicle is cornering and apply twist-torque to both left and right sections of the bar. 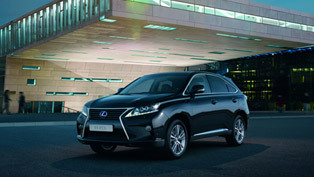 By applying the right degree of twist force independently to the front and rear anti-roll bars, the highly responsive system controls vehicle roll motion, reducing body roll angles to promote vehicle stability, superior cornering performance, passenger comfort and greater agility through improved steering response..
Electric Four-wheel Drive A unique feature of Lexus Hybrid Drive, the RX 450h's rear wheels are driven by a second motor to provide electric four-wheel drive under certain driving conditions, improving traction and vehicle stability. Operation is controlled by the Vehicle Dynamics Integrated Management (VDIM) system, with automatic engagement via constantly adjusted front and rear electric motor torque under hard acceleration - both from standstill - and at any speed, when driving through corners and whenever the front wheels lose traction. Electric Power Steering The column-assist type Electric Power Steering has been revised to give better feel and feedback. Improvements in rear-end stability allow for a quicker steering ratio than was used for the RX 400h, and the steering gear ratio has been reduced to 14.8, further improving agility. EPS is fuel efficient, kinder to the environment and particularly progressive and responsive in operation. Steering weight is seamlessly adjusted as vehicle speed increases, giving ease of use at parking speeds and good feel and control and high cruising speeds. 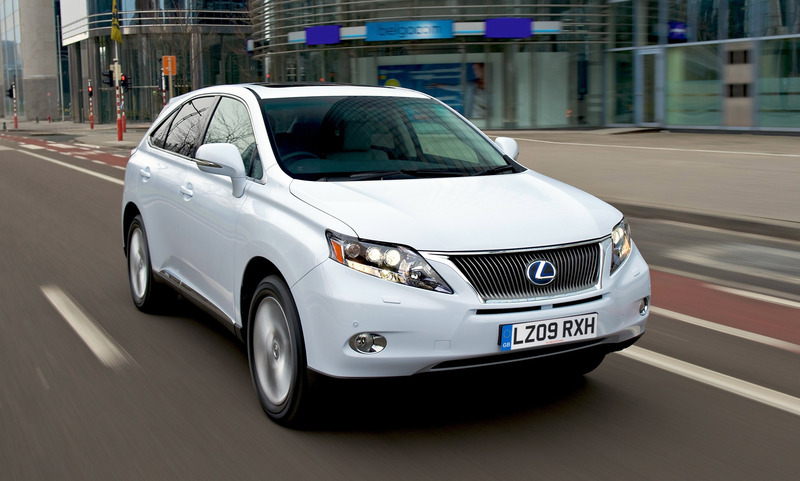 In spite of the longer wheelbase and wider track, the turning radius is the same as for the RX 400h at 5.7m. 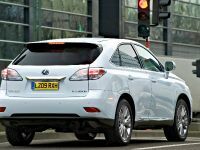 Electronic Brake Control (EBC) System By making ‘Braking with Confidence' an essential element of the overall ‘Confident Drive' concept, Lexus engineers optimised the RX 450h's braking effectiveness, controllability and rigidity. The second-generation Electronic Brake Control system has an independent power supply and works with VDIM to give improved brake pedal feel and linearity, optimum four-wheel independent brakeforce distribution, braking assistance and maximised energy regeneration. 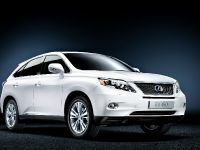 EXTERIOR DESIGN The third-generation RX represents the latest interpretation of Lexus's L-finesse design philosophy. Through the core elements of Intriguing Elegance, Incisive Simplicity and Seamless Anticipation, L-finesse combines the key factors of ‘leading edge' and ‘finesse' to encapsulate the hallmark values of the Lexus brand. The new RX is strongly influenced by the powerful and streamlined monoform architecture of Lexus's LF-Xh concept crossover, bringing together the seemingly contradictory ideas of a ‘robust, muscular stance' and ‘elegance and intelligence'. The new RX combines the road presence of a pioneering crossover with the most compact packaging possible. It is 35mm longer, 40mm wider, 10mm higher and has a wheelbase that is 25mm longer than its predecessor, but these increases have been kept to a minimum in order to preserve the car's agility and town-friendly manoeuvrability. RX maintains its class-leading 5.7m turning radius. The latest interpretation of the classic Lexus front grille flows from the bonnet and fuses with the front bumper, combining with the L-finesse positioning of the headlights and grille to emphasise the ‘Resolute Look' that is common to every Lexus. Interlocking trapezoidal forms flowing from the bumper to the front wheelarches emphasise the wide track and the vehicle's powerful stance. Optional, highly sculptural LED headlamps add more power to the design. The RX 450h's streamlined silhouette preserves the classic image of a crossover, while the clear axis of the shoulder and distinct crease along the C-pillar form a new architectural framework. The pronounced wheelarches flow seamlessly into both bumper and doors, and the vehicle's taut rear corners are emphasised by the smooth integration of the bumper. Aerodynamic Multi-function Design The reduction of panel gaps and the management of airflow under the vehicle combine with several multi-function aerodynamic elements to give the RX 450h a class leading drag coefficient (Cd) of 0.32. 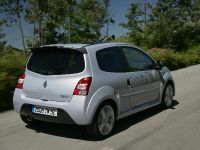 These elements include highly sculpted door handles; a rear spoiler which seamlessly integrates the rear wiper, high-mounted brake light and radio antenna; and door mirrors that incorporate turn indicators, puddle lights and, where specified, a parking camera, while still reducing wind noise by 20 per cent compared to the previous RX. 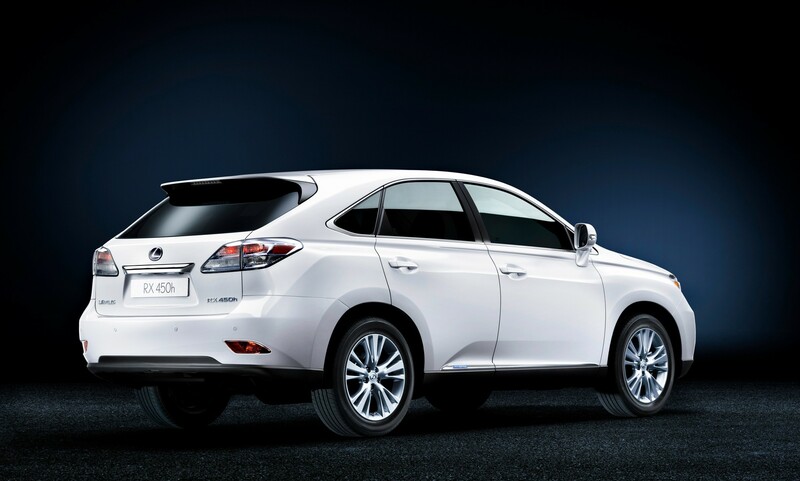 Distinctive Design Features A number of specific exterior design details give unique identification to the RX 450h. 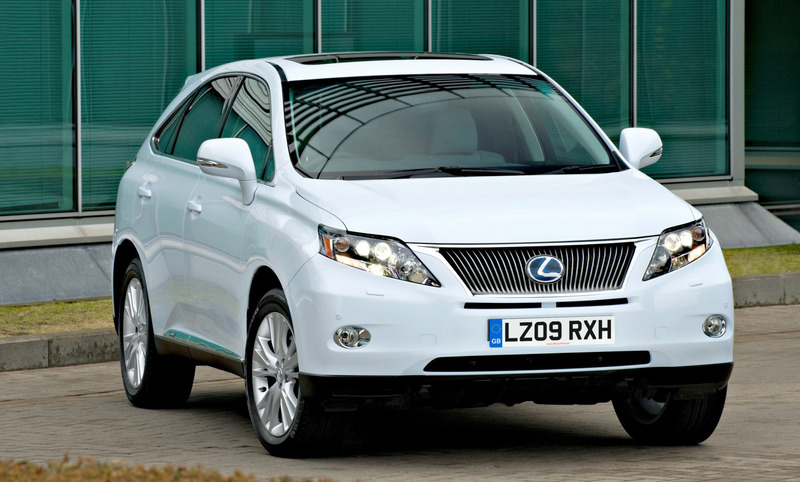 At the front, the grille has a blue-tinted Lexus emblem and the bumper is reworked to include an extra intake. The LED headlamp clusters are also blue-tinted. To the side there are blue scuff plates and a hybrid logo and at the rear the lamp clusters are again shaded blue and there is further hybrid badging. INTERIOR DESIGN Visual harmony between interior and exterior design is a key principle of L-finesse. The third-generation RX has a radical, all-new interior which perfectly complements the aerodynamic purity of the exterior. The ergonomically advanced cabin exudes spaciousness and comfort and is available in an exclusive black and grey colour scheme. Crossover Cockpit The ‘Crossover Cockpit' structural theme addresses the need for drivers to take in a wealth of visual information without interrupting their attention on the road ahead. It showcases advanced features and superb functionality which focus on intuitive, user-friendly operability by both driver and front seat passenger. The overall height of the dashboard has been significantly reduced thanks to the introduction of the world's slimmest centre console air vents. The space is divided into two distinct zones: an upper Display Zone, which combines an optional head-up display with an eight-inch colour LCD multi-display screen ideally positioned for at-a-glance viewing, and a lower Operation Zone, which gives access to controls such as the multi-information switch on the steering wheel and Remote Touch (see below). 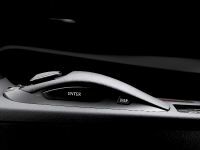 Remote Touch Remote Touch makes its world debut in the new RX and forms an integral part of the new Lexus Navigation System. It is an innovative, multi-function device that offers simple, intuitive control of the audio, navigation, climate, phone and vehicle set-up systems. The Remote Touch control knob is located on the central transmission tunnel and has a good ergonomic quality, giving the user tactile feedback when operated. It works on the same principle as a computer mouse, letting the user move a cursor quickly over a series of on-screen icons. To make it easier to select an icon, the system automatically ‘pulls' the cursor to an icon if it passes close to it. 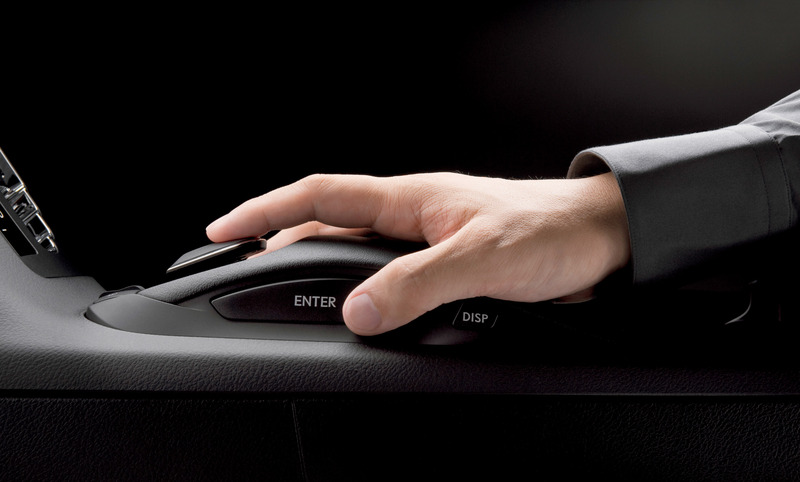 This makes the system fast and easy to use, minimising driver distraction time. Head-up Display The head-up display projects key driving data into the driver's line of sight at the base of the windscreen, including speed, navigation commands, audio and (where fitted) Adaptive Cruise Control and Pre-Crash System status. The newly developed white readouts use high-intensity LEDs to maintain clarity and visibility in all driving conditions. Multi-information Switch and OLED Display The Multi-information Switch dramatically reduces the driver's need to focus on switchgear mounted on the dashboard. It is linked to the world's first white OLED (Organic Light Emitting Diode) multi-information display, set in the instrument binnacle. Using a toggle switch, the driver can activate and customise numerous vehicle functions and information systems without lifting a hand from the wheel. Smart Entry and Start System Seamless Anticipation — discreet hospitality that anticipates the user's needs – is another principle central to L-finesse and one which can be witnessed in the smart keyless access to the new RX 450h and its sequenced illumination. As well as phased exterior and interior lighting, the needles, markings and multi-information display also light up in sequence when the RX is switched on. And when the driver leaves the vehicle, this illumination sequence is reversed. The instrument binnacle has hybrid blue lighting and in place of a tachometer there is a hybrid system indicator. Easy Exit and Entry Discreet hospitality can also be seen in the electrically operated driver's seat, which has an automatic return and away system, in conjunction with a position memory function. When the engine is switched off, both the steering wheel and driver's seat automatically retract to make it easy to get in and out of the vehicle. When the engine is switched on again, they return to their memorised positions. Dual-speed Windows The dual-speed windows automatically slow at the beginning and end of their opening and closing sequence, reducing noise and vibration and reinforcing the all-round sense of luxury. Seating The interior of the new RX 450h is perceptibly more spacious than its predecessor, with an increase of 52mm between armrests, 10mm in the front to rear seat couple distance, and 10mm in the length of the cargo bay. The full-leather seats are more comfortable thanks to increased backrest height and width and cushion thickness and width. A new, optional electric cushion length adjustment is also introduced for the front seats, while new heaters provide heat at different temperatures across different parts of the seat. The rear seats maintain the proven 40:20:40 split-folding design, which offers more flexibility and practicality than the usual 60:40 format. The seats can be slid forwards and backwards to increase legroom or luggage capacity, and can also be reclined. Storage and Luggage Compartment The interior is designed to provide the most flexible and practical storage space. There are numerous compartments, including cup, coin and card holders; various trays; a locking glove box; capacious front and rear door pockets; an overhead console; and a multi-compartment centre console, which has 12Vpower outlets, a USB port and an Aux-in jack point, and is large enough to store the owner's manual and provide an additional 21 litres of space. Thanks to the adoption of the new double wishbone rear suspension, there is significantly less intrusion in the luggage compartment. The floor width has been increased by 150mm and overall volume has grown to 496 litres. New levers are mounted on the side wall of the load space to allow one-touch remote folding of the rear seats. Models with air suspension also have a side wall-mounted height adjustment switch, which lets the vehicle be lowered by 30mm to facilitate easier loading. 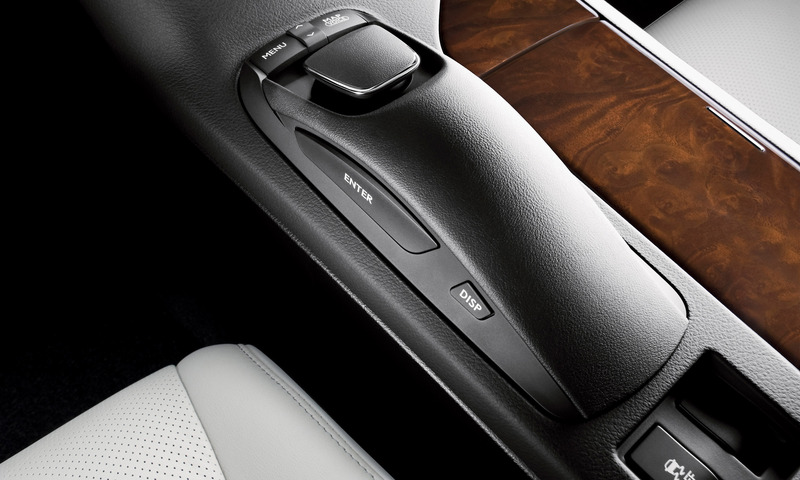 Air Conditioning The RX 450h has automatic air conditioning with independent left and right temperature control. The system uses a new compressor, a highly efficient heat exchanger and an anti-vibration condenser mechanism that improves both cooling and heating functions and reduces operating noise. Within the same space of time, the system can cool the cabin to 1.5°C lower and warm it to 3°C higher than the previous RX air conditioner. 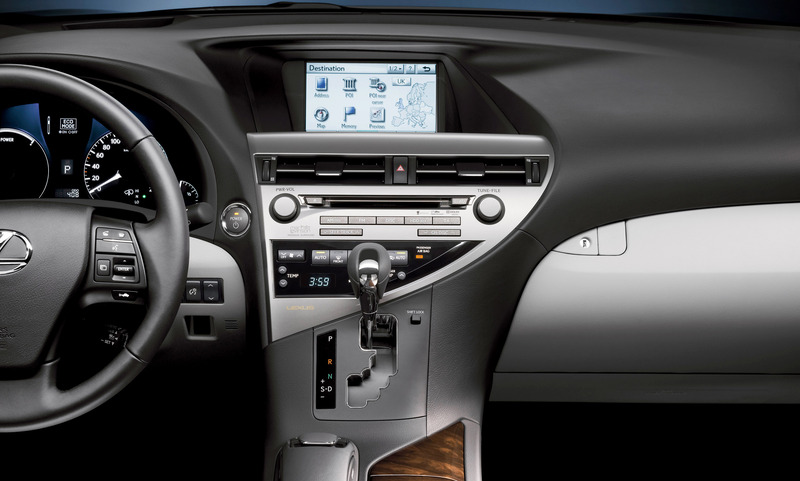 Audio Systems Lexus's guiding principle for the audio systems for the RX 450h is "clearer quality through an emphasis on direct sound". Three systems are available. The entry-level system comprises a six-disc in-dash CD changer, steering wheel-mounted controls and nine speakers. DAB-ready, it provides USB and audio jack plug connections for fully controlled use of portable music players such as iPods, and Bluetooth mobile phone connectivity with an audio/video streaming function. 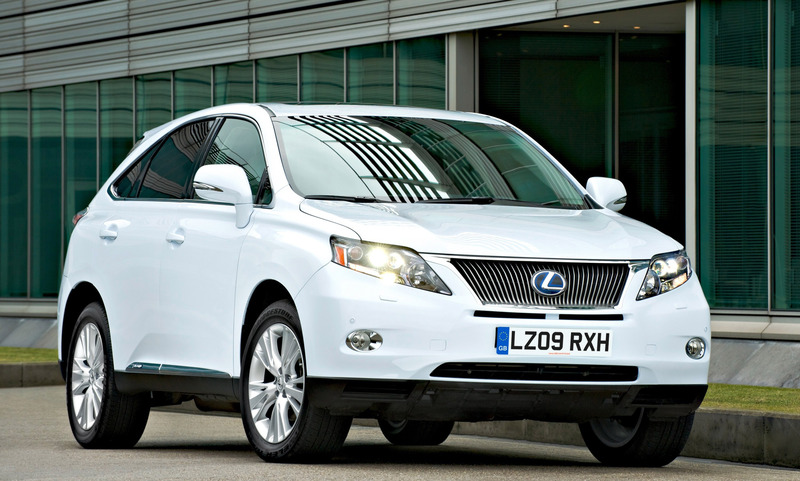 A 12-speaker system is also available, with all the above features and the Lexus Navigation System. The new top-of-the-range 15-speaker Mark Levinson premium surround sound system allows RX owners to enjoy perfect home theatre 7.1-channel surround sound from selected CDs and DVDs. It also makes use of the navigation system's hard disk drive (HDD) to provide a sound library facility, using compact Disc Data Base technology to transfer and store music files up to a 10GB capacity. Lexus Navigation System The new Lexus Navigation System has a 40GB HDD capacity, making it one of the fastest and most accurate systems on the market. It covers all of Europe, including Russia, and incorporates the traffic infrastructure of each country. Operated by means of the RX's Remote Touch system, it has upgraded voice recognition, with four additional languages, and a new menu that can be operated in 14 languages, including Cyrillic characters. Parking Assist and Side Monitors The RX 450h gains a new Side Monitor in addition to its Rear View and Parking Assist monitors. The system uses Charged Coupled Device (CDD) cameras built into the passenger door mirror and the rear of the vehicle, which work in conjunction with the front and rear parking sensors to give a view of areas around the vehicle that are difficult to see from the driver's seat. Real-time images are shown on either the central display (on models equipped with the Lexus Navigation System), or the interior rear-view mirror. For added security, the door mirror camera will continue to work even if the mirrors are folded back when negotiating a narrow space. SAFETY The RX 450h sets world-beating standards for active and passive safety in the crossover market, with its exceptional body strength and advanced safety innovations and driver support systems. Passive Safety The RX 450h's body mass comprises 42 per cent high tensile sheet steel, which is both lightweight and highly rigid. It has been engineered to achieve class-leading safety in full-frontal, offset, side and rear collisions. On the evidence of 233 crash tests, it will meet the front and side collision safety requirements of every country: NCAP USA five stars; Euro NCAP five stars and J-NCAP (Japan) five stars. The new Crossover Cockpit design is ergonomically excellent and offers maximum instrument clarity, allowing drivers to relax and concentrate on the road. The new head-up display combines with a multi-information screen to keep all essential data within the driver's field of view, and a multi-information switch that lets the driver monitor vehicle information while keeping both hands on the wheel. The RX 450h is equipped with 10 airbags, including knee airbags for driver and front seat passenger and full-length curtain shield airbags. The front passenger benefits from a dual-stage twin-chamber airbag that safely cradles the face like a baseball catcher's glove. This design has won a ‘breakthrough technology award' in the USA. Further protection is provided by active front seat headrests, which pop up and forwards in the event of a rear collision, closing the distance between the occupant and the headrest to minimise the risk of whiplash. 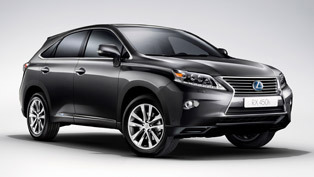 Active Safety The new RX 450h Pre-Crash Safety (PCS) system sets a new benchmark for anticipatory, preventive safety. It uses a millimetre-wave radar sensor to detect objects ahead, determines the collision risk and helps the driver reduce the chances of an accident happening. If PCS judges a collision to be highly possible, it will alert the driver and when he or she begins to brake, it will activate Pre-Crash Brake Assist. 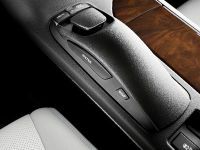 The Pre-Crash seatbelt is also activated under emergency braking, or if there is a risk of a loss of vehicle stability. Adaptive Cruise Control (ACC) works in tandem with PCS at speeds between 31 and 106mph (50 to 170km/h). ACC automatically maintains a selected distance from the vehicle in front, returning to the original cruising speed once the road ahead is clear. 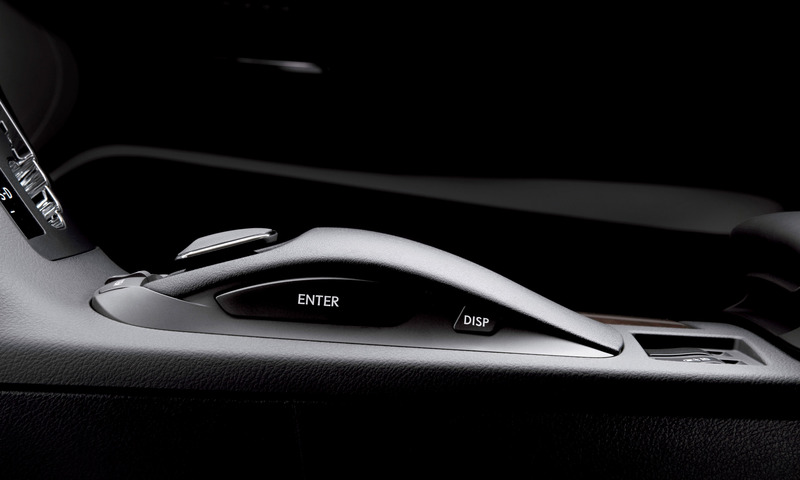 The new RX 450h also features a new Hill-start Assist Control (HAC). This briefly maintains brake pressure as the driver moves his or her foot from the brake to the accelerator, to prevent the vehicle from rolling backwards on an incline. Because the system requires less accelerator input, it reduces wheelspin and gives smoother pulling-away performance. Lexus's Vehicle Dynamics Integrated Management (VDIM) processes vehicle status data from sensors located through the car, integrating the function of the ABS, traction control (TRC), Vehicle Stability Control (VSC) and Electronically Controlled Brakes (ECB) with the Electric Power Steering, and also co-ordinating control of the Lexus Hybrid Drive and electric four-wheel drive systems. Moreover, via the EPS actuator, VDIM will augment VSC operation by providing steering assistance to reduce torque steer under braking on surfaces with varying grip. It will also introduce steering torque assistance in under and oversteer conditions to help the driver make the appropriate steering input to maintain vehicle stability.